For men who love clothes the relentless slide towards casualness is a double-edged sword. If you enjoy dressing up then the fact that society becomes more and more informal can be a source of unhappiness. It’s tempting to become downhearted at the fact that there is only a handful of restaurants in London where men routinely wear a tie for dinner, and that fewer and fewer men feel obliged to dress up even for life’s momentous occasions, like weddings, funerals and christenings. However, there’s another, more positive interpretation. And that is that these changes bring with them enormous freedom. Yes, most guys use this freedom to dress badly, but no matter, the style conscious can use it to dress better. Not long ago it was considered beyond the pale to wear brown shoes with a blue suit. Now many men think nothing of enjoying the sympathetic contrast between highly polished dark brown leather and a navy blue business suit. 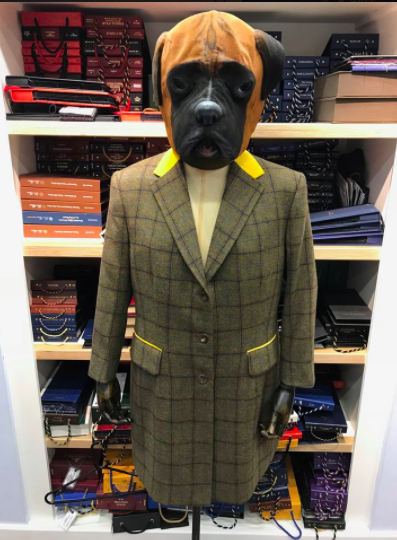 It’s in this spirit of sartorial liberalism that the next four posts propose garments made for life beyond the confines of the office, tailoring for men who dress for pleasure, rather than out of a sense of professional responsibility.